Who knew mortar could look this fantastic? 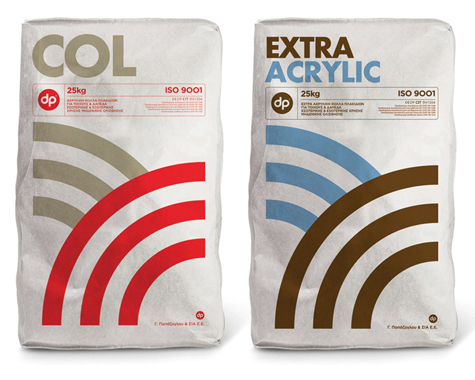 Packaging design for industrial acrylic adhesive mortars for G. Papazoglou & Co company, a supplier of ceramic tiles and kitchen & bathroom fixtures. Designed by Designers United.